Build, strengthen and tone your pectorals in a controlled, effective and safe way with the Exigo Chest Press. The ergonomic design provides a natural feel of movement and keeps you in a comfortable yet safe position throughout the whole range of motion. 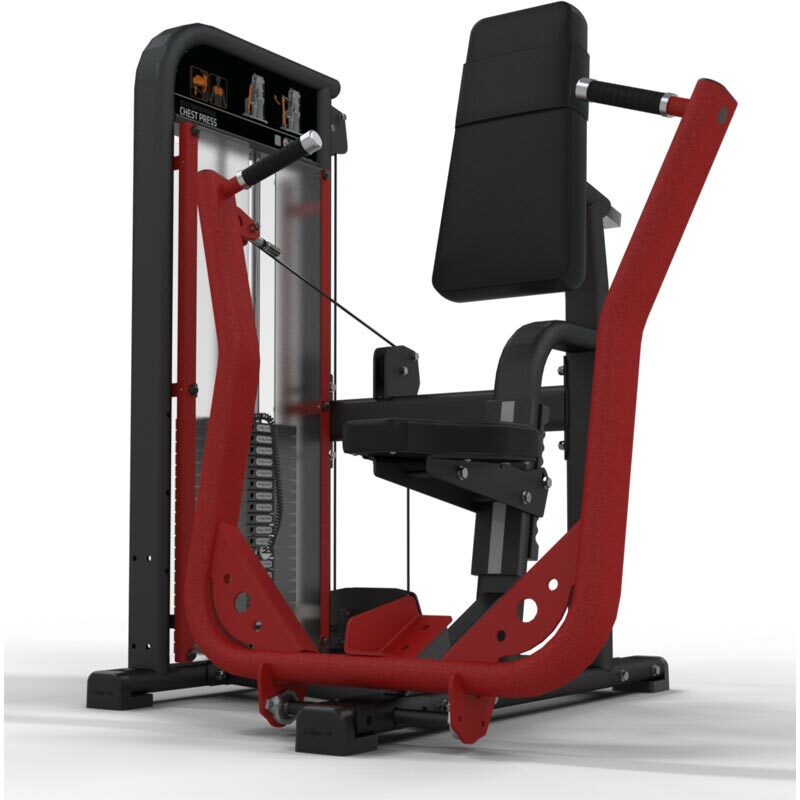 The overhead pivot on Exigo Chest Press provides a linear path of motion. This is a natural movement which is the familiar look and feel that users feel comfortable with. This is in contrast to the less natural and less effective descending path of many other chest presses on the market. Features fully adjustable seat with comfortable back rest and seat. L1280mm x W1400mm x H1496mm. Weight: 232kg (including weight stack).